Impressive ladies' show shirt with short sleeve of a close-fit cut. 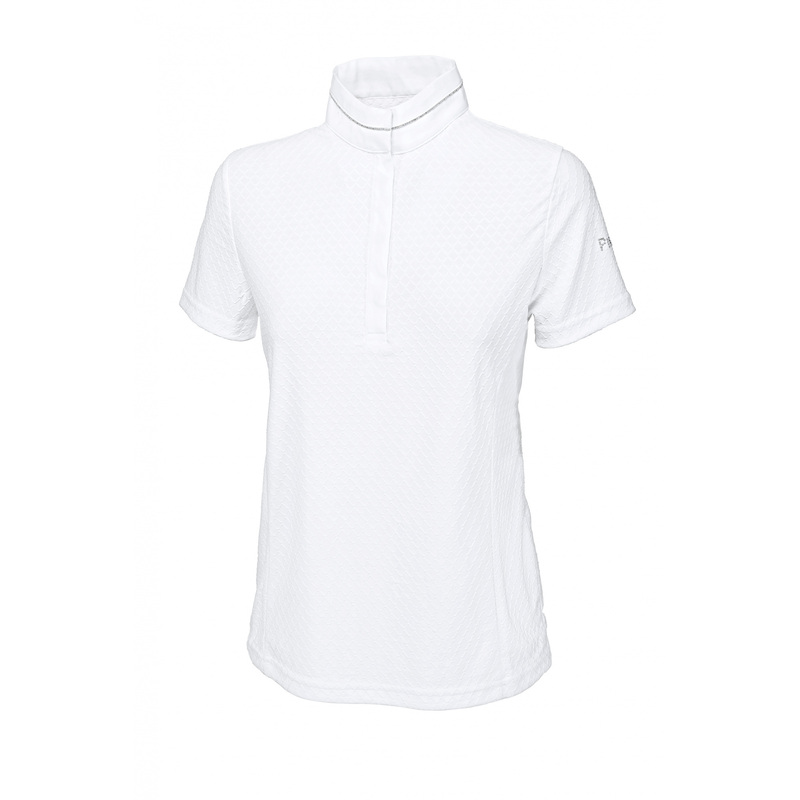 It is perfect for summer days as it is made of breathable and quick-dry material that does not restrict movements. 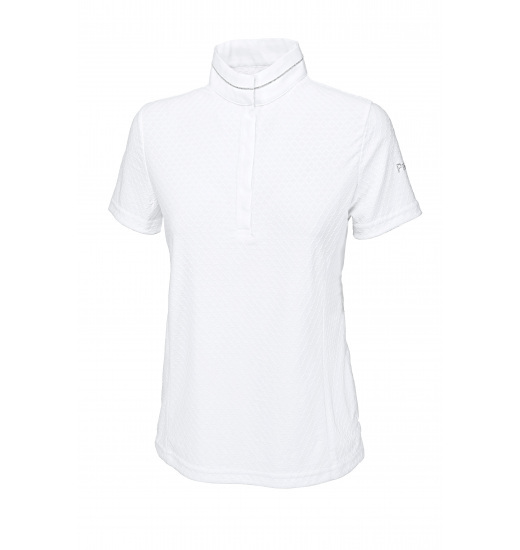 The shirt has an elegant stand-up collar with silver trimming and a 3/4 fastening with covered buttons. It is decorated with a Pikeur writing made from crystals on a sleeve.